Recovering from drug and alcohol addiction requires specialist treatment that tackles your habit at its root. Receiving this help within a residential rehab facility is the most effective way to overcome addiction for good. Port of Call has access to a wide network of addiction treatment providers in Southampton, Hampshire and across the UK. We also have an intimate understanding of the causes of addiction, so we can match you to the right kind of help. Call us to find out more about drug and alcohol rehab in Southampton – and how you can get booked in. When it comes to finding quality drug rehab in Southampton, expert knowledge is a fantastic tool. This is exactly what we offer at Port of Call – alongside confidential advice and an understanding ear. There are many types of addiction treatment, so the private residential rehab market can be difficult to navigate. This is especially true if you are caught in the throes of addiction – choosing the winning combination of therapy, counselling and support group services can feel like a challenge. Southampton is home to many diverse rehab centres, but exploring the wider region can connect you to niche services. This is particularly valuable if you have complex underlying mental health conditions or require rehab clinic with specialist facilities for families. To find out more about the vast array of options, call us on 08000029010, text or email help@portofcall.com. Intervention services are one of the most popular ways to help an addict who is in denial. These professional meetings take place on neutral ground, offering family members the chance to communicate honestly within a safe environment. Speak to Port of Call for guidance on how to get your loved one to accept the help they need. What happens in rehab in Southampton? 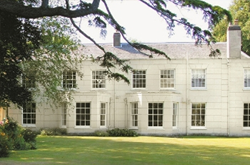 Rehab in Southampton provides 24-hour support and separation from old habits and addiction triggers. This winning combination is a great way to shake addiction for good. Residential rehab programmes typically last from 28 to 90 days in Southampton. Call us free on 08000029010, text or email help@portofcall.com to discuss your hopes, worries and how to take the next steps.